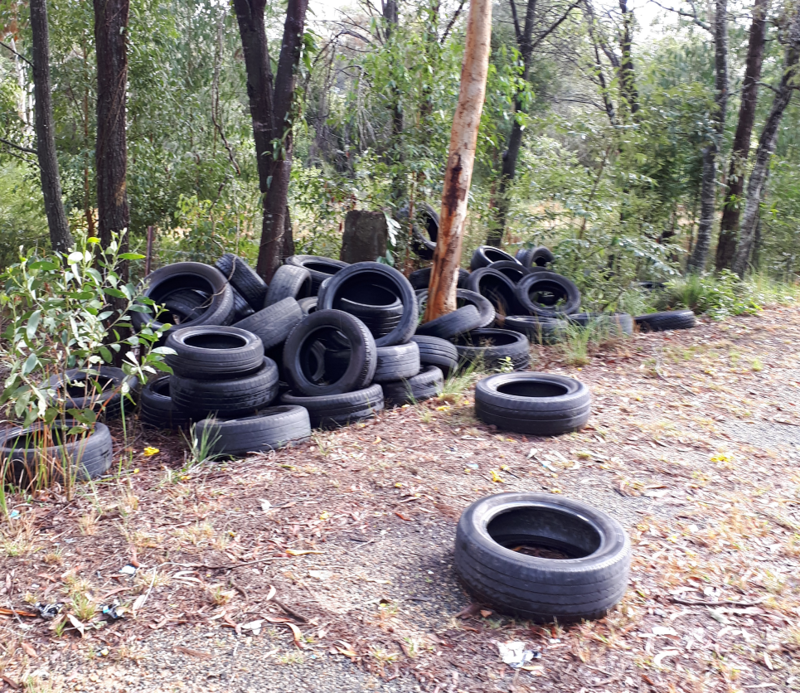 Following recent and escalating spates of illegal dumping of tyres on road reserves and in adjacent bushland, Redland City Council is working with Queensland Department of Environment and Science and Police and appealing to the community to report any suspect activity so offenders can be called to account. Tyres that have been illegally dumped in bushland. Mayor Karen Williams said that when it came to random instances of dumping the best eyes on the ground were those of local residents. “Quite aside from ruining the amenity and natural beauty of Redlands Coast, illegal dumping is costly to Council as well as the community. “It’s not just a case of Council sending a truck to pick up the rubbish. Every time a new site is cleaned up we incur unnecessary costs associated with staff time, vehicle and plant use, disposal at a licensed waste management facility, investigation and follow-up by compliance staff and community education. “Over the past three weeks we have seen multiple illegal dump spots of tyres crop up across the City – predominantly in southern areas – with the clean-up bill reaching $20,000. “One site alone, on Rocky Passage Road, Redland Bay, cleaned up by Council just last week cost $2,370, and that’s not including investigation, compliance and education costs” Cr Williams said. Report any illegal dumping or littering you witness using the Department of Environment and Heritage Protection’s littering and illegal dumping reporting form.